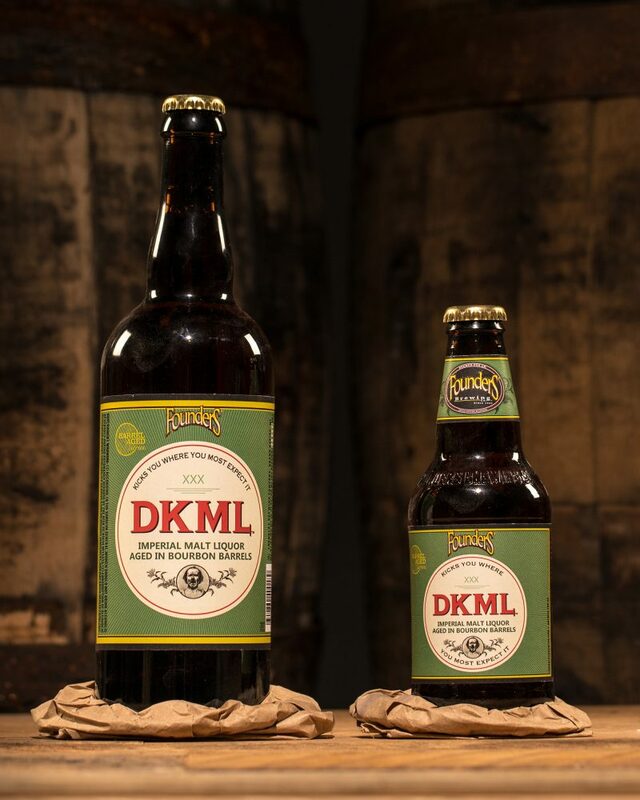 New Beer Release: DKML - Founders Brewing Co.
Posted on June 9, 2017 by Founders Brewing Co. This is the first time we’ve released DKML, though our Brewmaster, Jeremy, has taken the recipe through multiple trial batches over several years. It marks the fourth release in our Barrel-Aged Series, preceded by Frootwood, KBS and Doom. DKML will be available in 4-packs of 12oz bottles and 750mL bottles beginning in our taproom on July 1 and the remainder of our distribution footprint – which now includes 46 states – shortly thereafter. It will have a SRP of $11.99/750mL bottle and $14.99/4-pack 12oz bottles. Why is your Beer getting so expensive?? Any info on ABV or IBU?